A road trip buddy movie, Green Book travels through wide open America where the terrain is beautiful and expansive, but many minds remain captive to deep-seated prejudice. 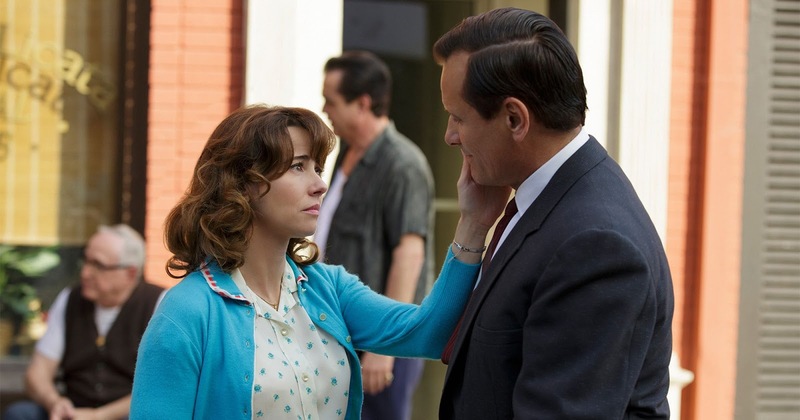 It's the early 1960s in New York City, and Tony "Lip" Vallelonga (Viggo Mortensen) supports his Brooklyn-based family, including loving wife Dolores (Linda Cardellini), by working as a bouncer at the Copacabana nightclub. When the club closes for renovations, Tony lands a job as the driver for celebrated black pianist Dr. Don Shirley (Mahershala Ali), who is embarking on a tour of the midwest and deep south. As the long road trip starts, the blue collar rough and tumble Tony and the suave and educated Shirley find little in common, and the brusque bouncer also develops a distaste for the cellist and bassist who make up the rest of the trio. But gradually, Tony and Shirley warm up to each other, with Tony gaining an appreciation for a black man gathering up the courage to tour the south, and "Doc" helping Tony with his letters back to Dolores. A friendship develops, as both men learn how misleading first impressions can be. 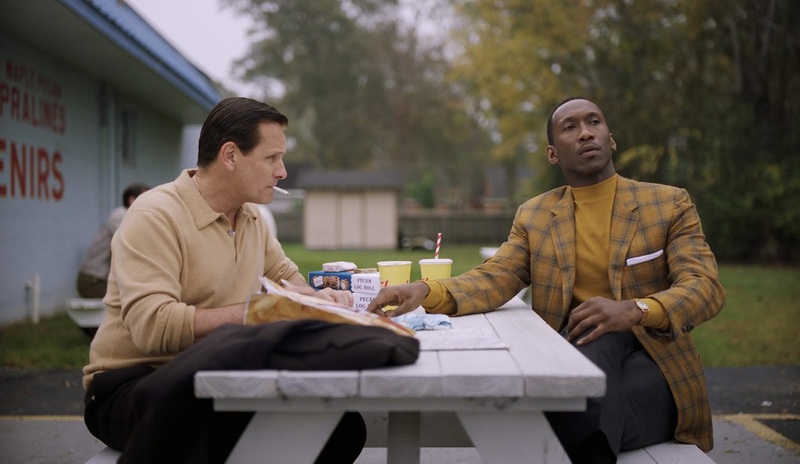 Inside the car, Green Book is about two men forced to spend long hours together and slowly bonding over topics as mundane as fried chicken, diction, and littering. Shirley's sophisticated mannerisms are an eye-opener for Tony, while the bouncer's big-hearted embrace of life's every moment breaks through the pianist's iciness. Gradually, the two men find commonalities. Tony's lower-middle class experience, confined to a single neighbourhood, scraping by on odd jobs and with few prospects for advancement, is not dissimilar to the broader black experience in America. And Shirley's quiet courage in insisting on penetrating the deep south to demonstrate what a black man is capable of in front of hypocritical white audiences is no less brave than Tony's daily dealings with dressed-up scum at the club. The film's title refers to a traveller's guide directing Negroes to welcoming establishments in the south. Dr. Shirley quietly accepts all the racist indignities hurled his way, as his is a greater mission to rise above and for a couple of hours every evening, command the stage with a virtuoso performance. His fight against social injustice runs through upscale concert halls, toney country clubs and fashionable hotel banquet rooms, although before and after his concerts he is confined to rundown motels and broom closets thinly disguised as dressing rooms. Regardless, Shirley's public life as a celebrated and wealthy pianist places him outside the common experience of his own black culture, and through the road trip Tony discovers how a life of privilege can disguise a sense of severe displacement and loneliness. Viggo Mortensen transforms into an overweight, larger-than-life yet honest and resourceful family man. His performance fills the screen, Mortensen portraying Tony as a blunt instrument ready to be chiseled through exposure to a broader America. Mahershala Ali provides a counterpoint of refinement hiding deep personal agonies, and the two actors create a compelling on-screen duo. 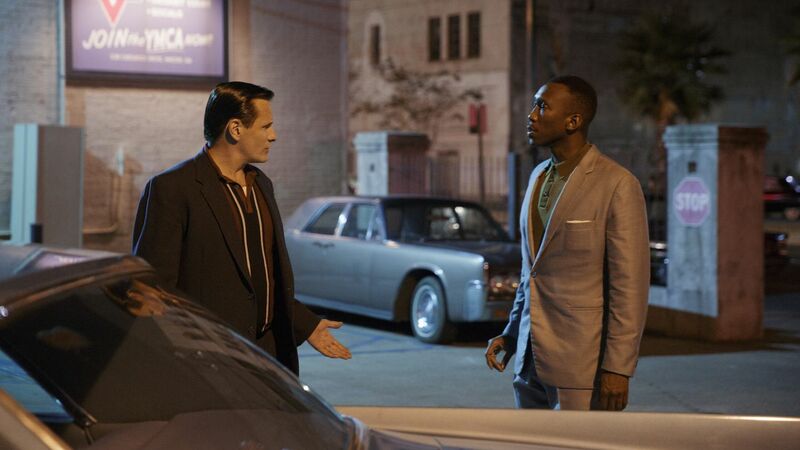 Green Book seeks the delicate yet profound thread of personal and societal transformations, and finds all the elegant notes. I haven't seen it yet, but this has proven to be quite polarizing picture. Hopefully, I'll get to it soon. I'll look forward to your thoughts on it. I thoroughly enjoyed it and thought it was quite the perfect movie.